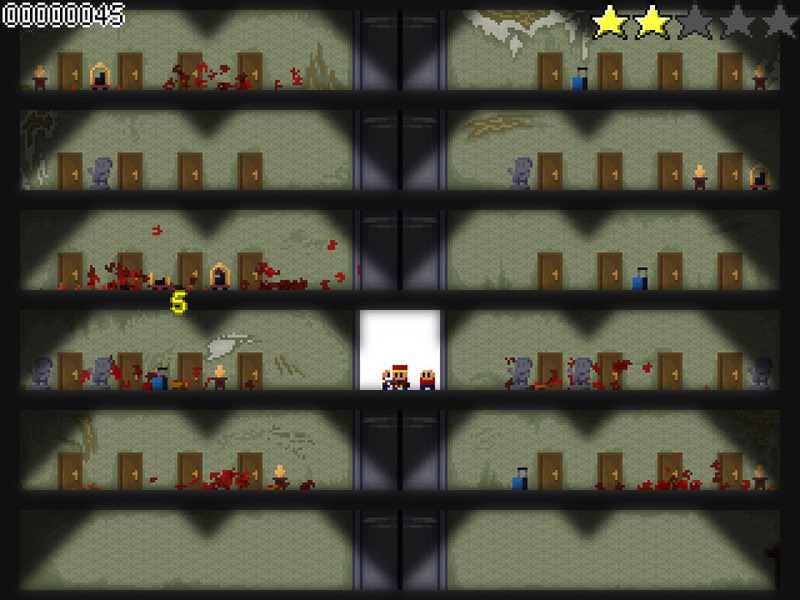 "A really fun addictive zombie shooting game!" Ground Floor Z is a simple pixel style zombie game which although is simple in game play and looks is a lot of fun and very hard to stop once you start playing it’s very hard to be able to stop and one thing is for sure it’s not easy. 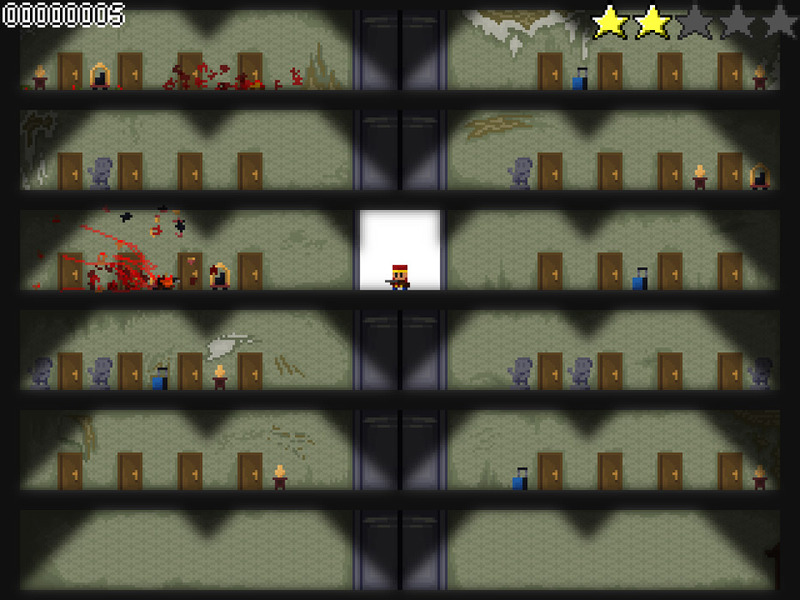 The premise behind the game is that you must kill as many zombies as you can whilst rescuing the people. You can’t actually walk outside of the area of the elevator but must use it to travel between floors shooting the zombies with your shotgun whilst gathering the innocent people in to the elevator and dropping them off at the ground floor so they can leave the building without coming to harm. 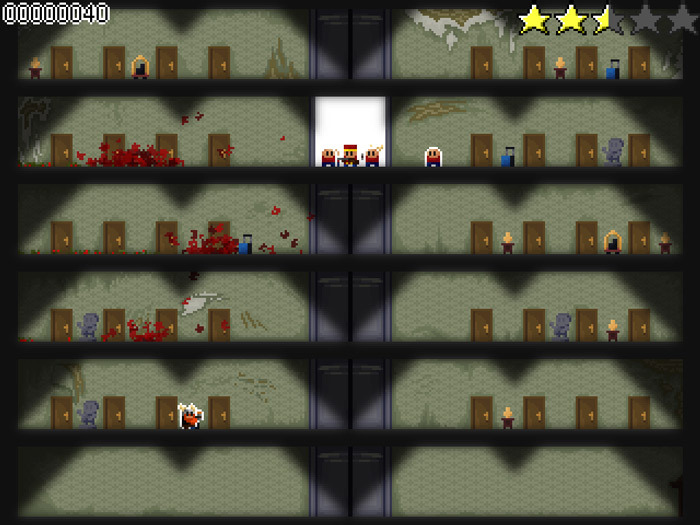 Whilst the pixel art style graphics are quite simple they add to the fact that this game is just pure fun although it’s difficult, if you let too many humans die that will be game over and don’t whatever you do get to the point where you let zombies get in to the lift with you and the humans or it will be carnage! Ground Floor Z is one of those “just one more games” that you play and suddenly you’ve lost an afternoon trying to beat your high score, a really fun game that will have you hooked as soon as you work out the difference between the zombies and the humans (tip the zombies are outlined in green). You can download Ground Floor Z here for free.